A HADDINGTON man has been reported missing after last being seen in Edinburgh. 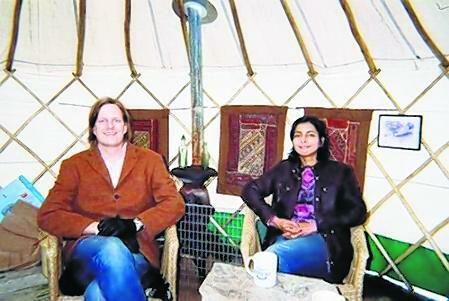 POLICE are looking to trace a Haddington couple who have not been seen since Friday. Police believe a Haddington man reported missing in Edinburgh is currently in the East End of London with his wife. MISSING Haddington man Gavin McIntyre has been found safe and well in Edinburgh, police have stated. Missing Haddington couple Gavin and Sam McIntyre have both been traced safe and well. 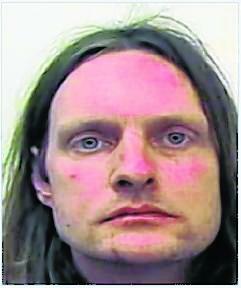 Police Scotland are appealing for information to help trace Gavin McIntyre. The 35-year-old was known to be in the Morningside area of the city at about 1.30pm on Monday. However, Mr McIntyre, from Market Street in Haddington, has not been seen or heard from since and concern is now growing for his welfare. Mr McIntyre knows the East Lothian and Edinburgh areas very well and has previously travelled recreationally throughout the UK. He is described as white, 6ft tall with long hair and wearing blue trousers, brown slip-on shoes and a white hooded top with horizontal coloured stripes. Inspector Murray Tait said: “Police are getting increasingly concerned for Gavin, as he has not been in contact with friends or family since being reported missing. “Anyone who has information on his whereabouts is urged to contact police immediately. Gavin McIntyre was known to be in the Morningside area at about 11am on Friday, but the 35-year-old has not been seen since and has not returned to his home address on Market Street. It is believed that he is with his wife Sam but the whereabouts of the couple are unknown. Enquiries have established that Gavin and Sam own a small boat, which was moored on the River Lee in Stratford, near to the Olympic Park. There is a possibility that they may be using this boat or indeed be in the London area. Officers in Edinburgh are now liaising with colleagues in London to determine whether the pair have travelled down to the area. Anyone who can assist in locating Gavin or Sam is asked to come forward. Gavin is described as white, 6ft tall with a slim build, blue eyes, shoulder-length fair hair, a goatee moustache and a vertical scar on the right side of his lip. He was last seen wearing a brown anorak, grey trousers, a purple woolly hat and black and red Adidas trainers. Sam is described as being 5ft 5ins tall with long black hair and a slim build. “Anyone who has seen either Gavin or Sam over the weekend or has information as to their current whereabouts should contact police immediately. Those with information can contact Police Scotland on 101 or contact Crimestoppers anonymously on 0800 555 111. Gavin McIntyre was last seen in the Morningside area at about 11am last Friday (January 9) but has not been sighted since. Enquiries indicate that both Gavin and his wife Sam have travelled south together and may be looking to utilise a boat, which they own there. Officers in London have been assisting Police Scotland and have determined that the boat, which is called ‘Sheer Madness’, was last seen moored at the Old Ford Lock, near the Olympic Stadium, on Tuesday, January 6. 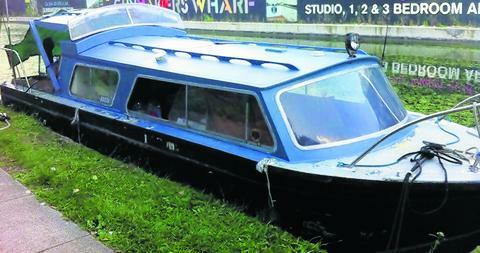 The boat is able to travel along the canal system within the Newham Borough and throughout Hackney and Forest Gate. Chief Inspector Chris Scobbie said: “Our enquiries point towards Gavin and Sam having travelled together and we believe they were heading to London, where they have access to their boat. “They may also have access to a red-coloured Ford Transit vehicle with the registration number UDZ4026. “At this time I would ask local residents who live around the Old Ford Lock area to get in touch with police if they believe they have seen the McIntyres in the past few days or know where they may currently be residing. “In addition, canal users are asked to report any sightings of the boat called Sheer Madness to police immediately. Officers were looking for the 35-year-old, who had not been seen since lunchtime on Monday. Today, Gavin was traced in the city centre and Police Scotland thanked the public for their assistance. The couple were found on their boat in London this afternoon. Police thanked the public and media are thanked for their assistance with this appeal.